Tech shapes our daily life, impacting not just how we read and work and play but how we interact, how we learn, how we grow. And once a year in January, CES (formerly the Consumer Electronics Show) gives us a window into what that will look like tomorrow. Unfortunately, it’s a really big window. With more than 4,400 exhibiting companies and more than 2.7 million square feet of exhibition hall, it’s hard to glimpse tomorrow; that window is plastered in banner ads for Alexa, new televisions, and more iPhone cases than you can shake a fanboy at. Let me do the work for you. I’ve read the 687 emails I received in the last three weeks and synthesized all the announcements from LG, Samsung, Sony, Qualcomm, and everyone else. Here’s my list of the large trends that we’ll see in 2019, to help you make sense of the wonderful, mesmerizing chaos that is CES 2019. Smartphone makers may show off new interpretations of in-screen speaker technology at CES 2019, according to a report from a South Korean news source, as manufacturers continue to refine the truly bezel-less, full-screen device viewing experience. Currently, most bezel-less smartphones have a tiny speaker in the very top edge — take a look at the OnePlus 6T, for example, to see how invisible this can be. But by using an in-display speaker system, this could be removed entirely. Both Korean and Chinese display makers are expected to show screen panels and smartphones with, “surface sound display technology,” at CES 2019, according to the report. The devices and screens will likely be prototypes, and not final production-ready pieces, and may also only be shown behind closed doors. CES is a trade show, and in addition to showing the press and other attendees the latest products, manufacturers use it to strike deals related to future products. Samsung's Creative Lab, aka C-Lab, will be bringing eight new projects to CES 2019 – the most the company has ever unveiled at CES since its first appearance at the conference back in 2016. C-Lab is using the upcoming Consumer Electronics Show to "refine" and "prepare" prototypes of eight projects based on rapidly-evolving artificial intelligence technology. From custom perfume-making to ASMR content recording, C-Lab has been busy developing various innovative technologies, which have already been picked up and made commercially available by several startups, also set to showcase their new products at the conference. An army of robots lends a certain science-fiction feel to next week’s Consumer Electronics Show. 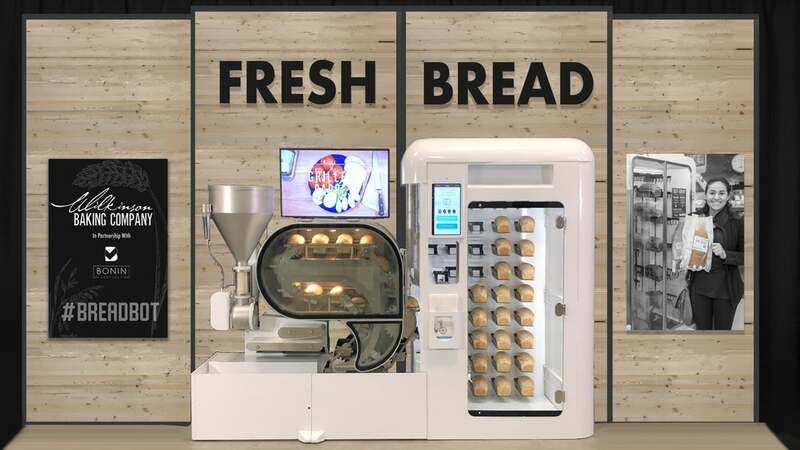 Mechanized pets and appliances are expected to be ubiquitous on the show floor, underscoring the growing importance of the technology in people’s homes and on manufacturing lines. More than 300 vendors from Honda Motor (Japan: 7267) to LG Electronics(South Korea: 066570) and scheduled panels such as “Creating Tomorrow’s Robotic Caregivers” on advances in assistive technologies offer evidence. Indeed, the market is more than just animatronic pets and futuristic home servants: it is a $39 billion market that is expected to grow to about $500 billion by 2025 as consumers, manufacturers, and designers embrace robots. A record 381,000 industrial robots shipped globally in 2017, up 30% from 2016, according to an International Federation of Robotics report. It predicts 630,000 shipments by 2021. "We believe we have a winning design that will enable us to make the Model T of flying cars—a low-cost production model," Guy Kaplinsky told AFP in a Silicon Valley office park where a prototype model was being assembled. Make no mistake: 5G will change everything. The sheer amount of data that can be sent with such low latency will supercharge autonomous vehicles, smart homes, and wireless virtual & augmented reality. In fact, this is one of the breakthroughs VR absolutely needs in order to go mainstream. It's highly possible, even probable, 5G will allow for the first true VR social media platforms to rise. I've already started planning out my list for Your 2020 Predictions— I've been waiting half a decade for the opportunity. And there's a damn good reason why 5G was at the top of my 2019 prediction list: if everything goes well this year in the realm of 5G adoption, 2020 is going to be insane. Hyundai is sure to have one of the wildest booths at CES 2019, owing to a little something called the Elevate, a concept so out of the box it looks like it comes from Rinspeed and not a global auto brand. Using a different style of suspension lift, the robo-legged Elevate breezes over terrain that would incapacitate even the toughest production 4x4s. Calling its walking electric concept car an "ultimate mobility vehicle" (UMV), Hyundai pulls the wheels out from under the arches and bolts them to a quartet of robotic legs. Instead of simply rolling over road and rubble, the Elevate can also step and climb, moving forward over landscapes that would stop other vehicles dead in their tracks. Hyundai is holding additional details until next Monday's official debut gets closer, but it does promise to have an actual prototype at the show. We also hope to see some video of this thing in action. Samsung has revealed a 75in (190cm) television made of modular micro LED panels, at the CES tech show in Las Vegas. The BBC's Chris Fox explains why micro LEDs, which have predominantly been used in large applications such as billboards, may soon be heading for our homes. Back in 2018, Foldimate was one of two laundry-folding machines exhibiting at CES that promised to make folding clothes a thing of the past. It was up against Laundroid, a $16,000 AI-powered machine that was supposed to analyze each clothing item and figure out the best way to fold it using AI. Neither machine worked at the time— Foldimate’s model was a non-working prototype, and I accidentally broke the Laundroid when I confused the machine’s AI with a black T-shirt. This year, Foldimate is the sole laundry-folding machine at CES, returning for the third time with a fully working prototype. I clipped in my Verge T-shirt to the machine, which pulled in the shirt and produced a neatly folded shirt in about five seconds. Foldimate says that you can fold an entire load of laundry in about five minutes, which includes collared shirts, pants, and medium-sized towels. It won’t be able to fold smaller clothes like baby items or oversized bed linens, but still, it’s a start. If I’ve learned anything from Marie Kondo, it’s that folding my laundry is the first step to fixing my (imaginary) dysfunctional marriage. Apparently, not too many people are too impressed with it. They're like, "what about dress shirts?!!" HTC announced a new variant of its high-end Vive Pro virtual reality headset today at CES that comes with native, built-in eye tracking. The device is called the Vive Pro Eye, and it promises to bring higher-quality VR experiences, thanks to a technique called “foveated rendering” that focuses only on what the human eye is looking at in a virtual scene and reduces the image quality of objects on the periphery. Royole has appeared at the CES trade show, but probably never to a room as crowded as the one greeting CEO Bill Liu today (Jan. 7). Since the FlexPai was introduced at a Beijing event, today's Royole press conference at CES was the first chance to see the foldable phone in action. 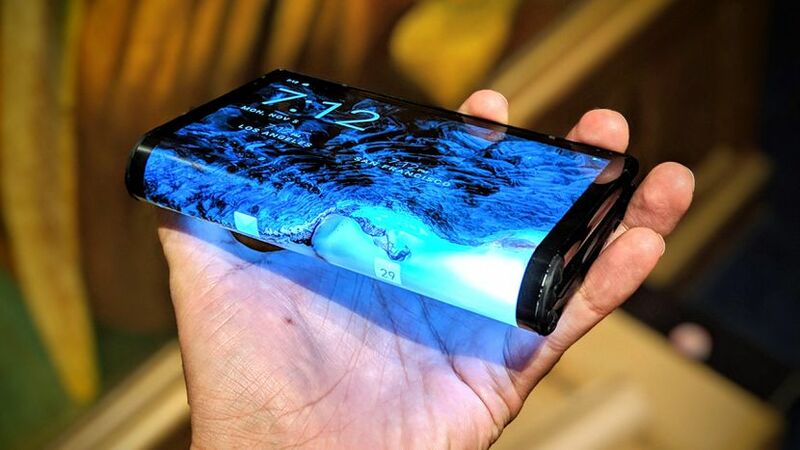 To that end, Royole didn't disappoint — after running through his company's six-year-plus history and detailing its vision for foldable electronics, Liu produced the FlexPai and proceeded to show how it could fold from a 7.8-inch tablet into a double-sided smartphone. Imagine taking that back to 1999 to show off. People would ask a lot of questions. Amazon's Alexa interrupted a Qualcomm executive giving a demo at CES on Monday afternoon in an eerie sign that artificial intelligence really does have a mind of its own. Reporters at the event tweeted about Alexa's notable interruption, in which the voice assistant reportedly said "No, that's not true," in response to something said by the speaker. The Qualcomm represenative was reportedly giving a live demo on how Alexa works with automobiles, and the device did not perform as intended. Semiconductors for cars are a big area of expansion for Qualcomm. Or maybe they just forgot to mute Alexa. You don't even need to go that far back. Just go back to 2014 and people would be amazed. Sure, we had flexible screens then, but they weren't used for anything practical like this is. I recall being incredibly hyped over flexible electronics between 2013 and 2015 just because of how futuristic it seemed, but nothing was done and that hype had been quashed right up until I saw this. It's still not "the one" since it folds only where it's pre-designed to fold, but it's definitely a real start. LG on Monday unveiled a roll-up television screen as a trend of bendable displays began taking shape at a consumer electronics extravaganza in Las Vegas. 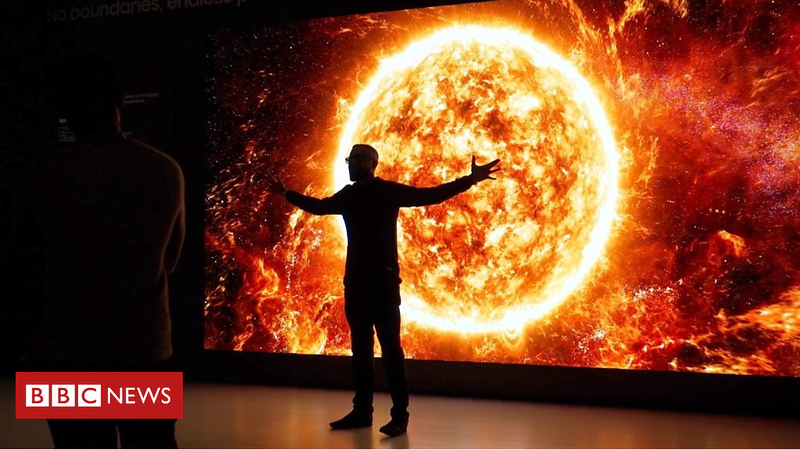 An ultra-high definition LG Signature television that rolls into and out of a base stand—which also serves as a sophisticated sound bar—was among the stars at the South Korean consumer electronics titan's press event on the eve of the official start of the Consumer Electronics Show. "What science fiction directors imagined decades ago is now reality," LG senior vice president of marketing David VanderWaal said while introducing the OLED TV R.
"It brings freedom of design to a space, without the limitations of a wall." "It looks very cool, and interior designers are going to love it," GlobalData research director Avi Greengart said of the roll-up television. While this looks to be aimed at developers and investors for the time being, it's still exciting to see VR eye tracking to start to become feasible. A necessary development for the future of VR - especially to massively reduce the hardware load required by using foveated rendering. This week at CES 2019, UBTECH Robotics (which was valued at $5 billion as of mid-2018) is announcing a major update to a walking robot first demonstrated at CES 2018. 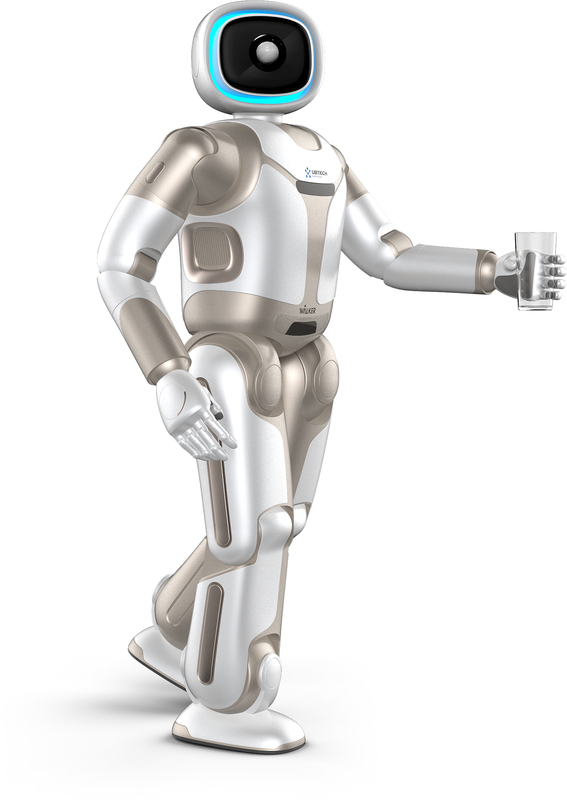 UBTECH’s Walker has gained a torso, arms, hands, and a head, and is now as humanoid as bipedal robots get. UBTECH has posted a couple of new videos, and answered some questions about Walker’s capabilities and where our expectations should be.